There is no limit to a humans desire, one needs two yards of land after two yards of shroud. Thank you God! 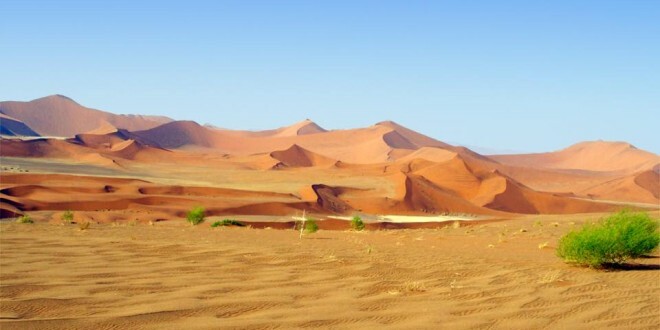 Going from Namibia to Angola, I am passing by the Namib desert on my bicycle. Dear friends, my name is Somen Debnath. I am a resident of the village of Basanti, Sundarbans, West Bengal, which is a great mangrove forest and the largest tiger reserve in India. 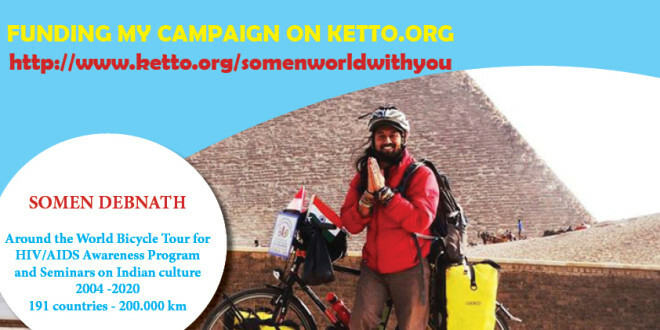 My "Around the World Bicycle Tour for HIV/AIDS Awareness Programme & Presentation of Indian Culture" started on 27th of May 2004, two days after I acquired Bachelor degree in Zoology from the University of Calcutta. I have also completed 'Visarad' in Fine Arts from the Sarbabhartiya University. My goal is to cover 191 countries till 2020. I will travel 200.000 km in the whole world and reach nearly 20 million people. 118.000 km I will travel for charity, that's why I'm selling my Km to people. The support I will get from people buying my kilometres will help me fulfill my other dream: to build a Global village in my native place, Basanti, Sundarbans.